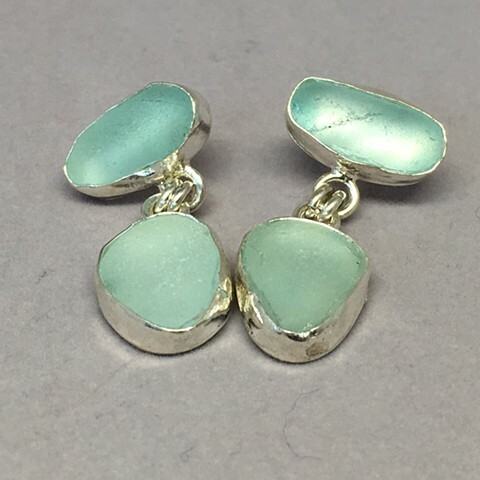 Light aqua seaglass set in handcrafted fine silver bezels. 3/4 to 1" long. Post back.